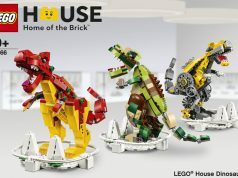 The LEGO 60th anniversary set pays tribute to four classic LEGO sets including Classic Castle, Town, Space, and Pirates and they are micro versions of the Castle (375), Airport Shuttle (6399), Space Cruiser And Moonbase (928), and Black Seas Barracuda (6285). 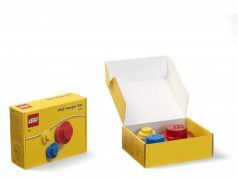 It also has a similar style to the 2016 LEGO 50 Years on Track (4002016) employee set. Thanks to everyone who emailed in about it. 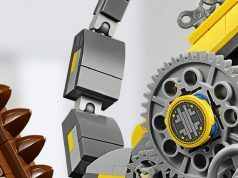 I saw it last night but didn’t post due to the impending announcement of the LEGO Creator Downtown Diner (10260) that was shown on top of the calendar. I’ll update with a better image when the PDF copy is available. Update: The January 2018 LEGO Store Calendar is available and we now have a clearer look at the set.